It’s almost impossible to believe that the first day of Spring has already arrived. Looking out of the window one is greeted by flurries of beautiful but ultimately inconvenient (and more than a little bit annoying) snow. To put it in to context, at this time last year it was a rather more palatable 21 °C and today it’s… – let’s not depress ourselves shall we? 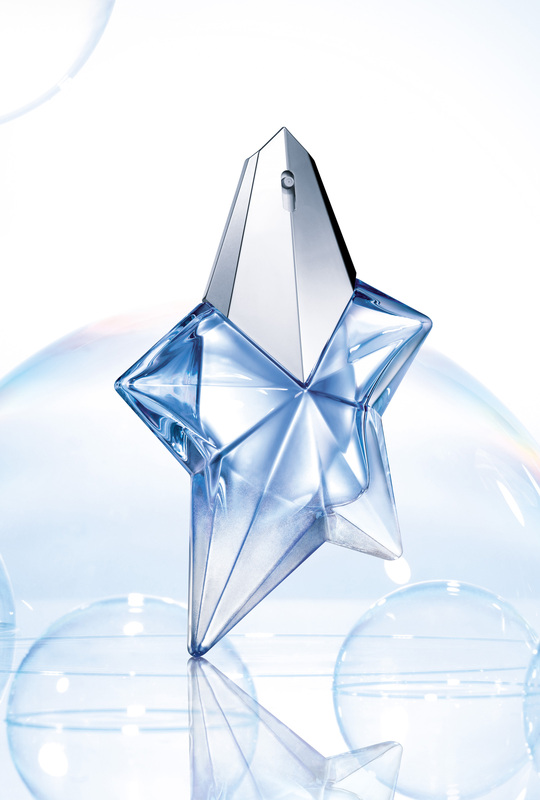 Whilst this blogger may not be ready for spring his favourite perfume brand – Thierry Mugler – certainly is. 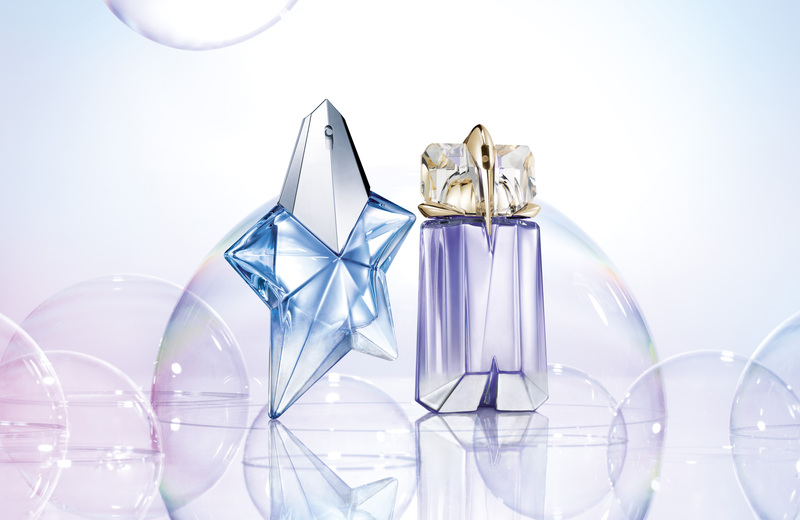 This month sees the release of their annual ‘Aqua Chic’ editions of pillar fragrances Angel, Alien and Womanity. All three of which are reinterpreted as fresher, livelier and more aqueous perfumes. For the Aqua Chic editions both Angel and Alien have been redressed in floral waters – rose and orange blossom respectively – to create summer-infused perfumes that are more than welcome to turn our SAD minds to think of warmer, happier and decidedly less blizzardy days. For Angel Aqua Chic the original – an olfactory drag queen – has been considerably lightened by the addition of rose water. This rose water in particular has a berry-like and sugar syrup-esque quality that smells like the vivid pink sauce of a liquidated cyber rose. In short, it’s not the delicate blush pink rose essence one is used to. The rest of Angel Aqua Chic’s development very much falls in line with the DNA of the original Eau de Parfum but the whole thing is unsurprisingly much lighter and effervescent. Chocolate and patchouli take a back seat to the floral candy floss effect, which in itself is relatively muted and not at all like the tour de force vibe found in Angel. Angel and rose have been together before in the wonderful La Rose Angel and in comparison the Aqua Chic edition doesn’t come close. That said, this version is not meant to be a mind-blowing remix of the original and it succeeds at being exactly what it set out to be – a sparkling, watery but not aquatic (an important distinction) and rose-tinted summer version of a modern classic. Alien and orange blossom were born to be together it’s a simple fact. The bitter citrus of the orange and hay notes of orange blossom blend exceptionally with the fizzy white jasmine to create a juicy, mouthwatering Alien that feels reassuringly in touch with nature in the heat of summer. The golden light of cashmeran that cemented the hyper-jasmine of the original is, as with the florals, approached with a softer touch here and most of Alien Aqua Chic’s ‘boost’ is courtesy of airy and silky musks that provide a lot of lift whilst adding a touch of powder in the base. Alien Aqua Chic is very pretty, the addition of orange blossom is inspired but it iss all perhaps a little bit too fizzy and light for my tastes and one can’t help but wish there was a little bit more of the original’s oomph to liven things up. One can only imagine just how good a non-summer Alien and orange blossom combo would be – now that I would like to see! Both Angel (50ml) and Alien (60ml) Aqua Chic are available in Eau de Toilette concentration for £40. Sample and images via Thierry Mugler. Notes via Escentual.com. Posted in Uncategorized and tagged Alien, Angel, Aqua Chic, Floral, Orange Blossom, Oriental, Perfume, Rose, Thierry Mugler, Woody. Bookmark the permalink. These sound very wearable, especially for the Mugler-averse. They release these variations so regularly, I imagine you could have a sizeable perfume collection with their flankers alone. They put in more imagination than your average add-on though, to put it mildly. They are definitely very wearable. These ones are one the less imaginative scale of the flankers but the freshness of each is nicely done. Can you comment at all on how these compare to last year’s version of the Aqua Chics? Those really were more aquatic, with the floral waters this year’s versions seemed more appealing. Although I thought the 2012 Alien Aqua Chic was not that bad for an aquatic flanker. Off the top of my head last year’s were more citrus-focused and these feature flower waters. I can’t really remember last year’s though to be honest with you. It’s funny, I’ve not seen the Womanity one anywhere here. Perhaps they’re only selling it in certain countries? Thank you for trying these so I don’t have to! Really, one wonders whether Mugler might not actually be better not to indulge their riotous flanker habit quite so much, I mean really, how many variations on Angel can one planet need!! Still. Lovely, lively reviews as ever. It’s a difficult one, they generally do very good flankers but I would like to see something entirely new from them. That said I do appreciate that they don’t rush out new pillar fragrances. When they do something new they do it right. I DON’T KNOW BUT IT WOULD BE AMAZING. 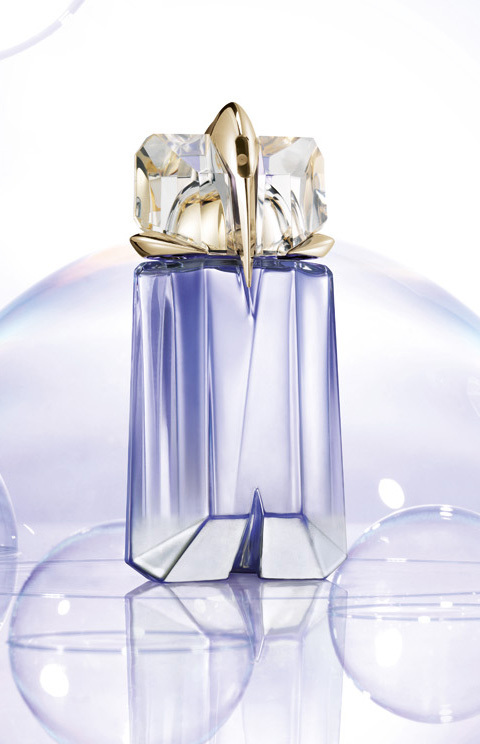 Womanity Aqua Chic is UK’s online exclusive, available at official Mugler E-Store. Perhpas you can ask Clarins Head Office for your sample then 🙂 And indeed, it is sold in other countriers- Germany, France, USA etc., but not in UK as classic Womanity is not a big seller at all. Pity! Just been wondering, do you have any clue or infos regarding Mugler’s limited editions for fall/winter? Damn, we knew about leather ones last year already (cause of your post, actually) and this year there’s only a big silence! I’ve not heard any rumblings from them as yet, here’s hoping they’ll announce something soon.